It was recently leaked Square Enix had plans for us to return to Blackwell Academy with plans for a new entry in the Life Is Strange series. Today, during Microsoft's E3 2017 press conference, they revealed the first trailer for the new game they're calling Life Is Strange: Before the Storm, and it will act as a prequel to the entire series. It doesn't look like Max will be showing up outside of maybe some flashback sequences. Instead, we'll learn what Chloe was up to before the events of the original Life Is Strange (hence the name) and her relationship with Rachel. Episode One of the three episode arc will be out August 31. This is not the follow-up from original developers DONTNOD Entertainment announced, but rather a three-part miniseries from Deck Nine Games. This will also be "enhanced" with the Xbox Scorpio, but they didn't elaborate on what exactly that meant. 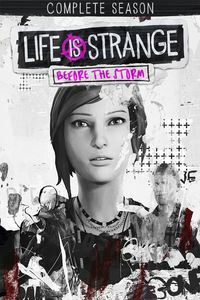 LONDON (June 11, 2017) – SQUARE ENIX®, publisher of award-winning and best-selling videogame franchises such as FINAL FANTASY® and TOMB RAIDER®, today announced LIFE IS STRANGE™: BEFORE THE STORM, the next game in the award-winning, multi-million copy selling, episodic franchise. The game was unveiled with a new cinematic trailer as part of the Xbox E3 Briefing and the first of three episodes will be released on Xbox One®, the all-in-one games and entertainment system from Microsoft, PlayStation®4 computer entertainment system and Windows PC on August 31, 2017.